Dark colored suits with high contrast necklines communicate the most powerful and traditional version of this dress code. Credibility to perform to expectations is highest when the face remains the primary focus. 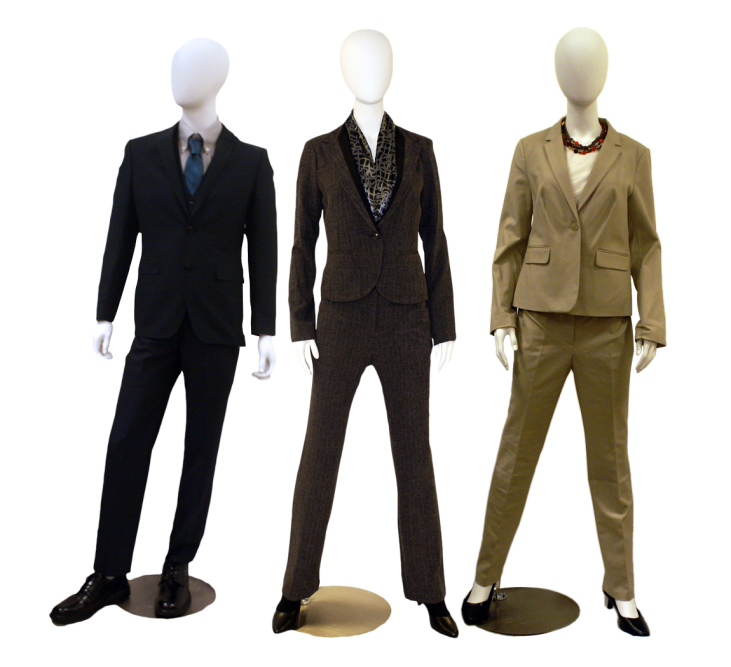 A quality fit in a full-cut suit avoids calling attention to the body. 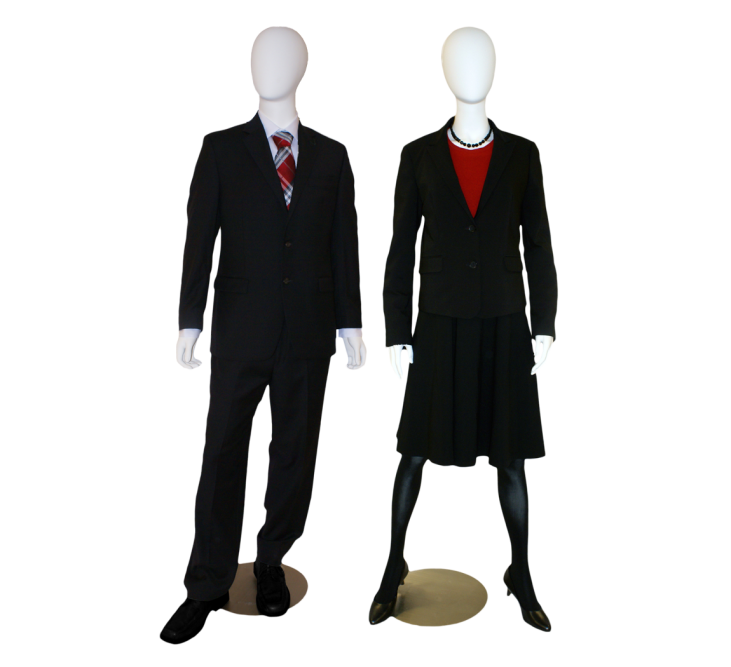 Shoes that blend with the suit color also help keep focus on the face. Notice that this styling is very crisp, simple and easily ignored as focus on the face strengthens perceptions of person’s capacity to perform to expectations. Darker colors communicate more about leadership. 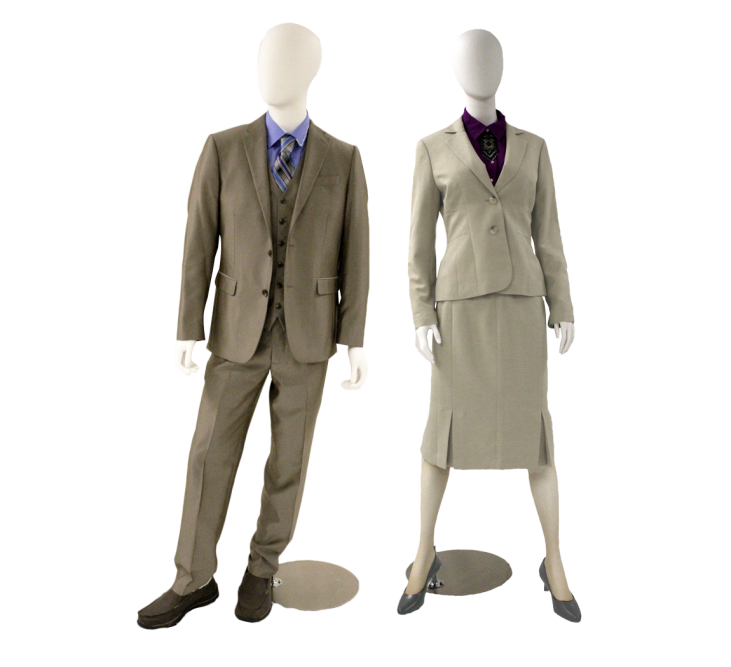 Medium to light colored suits with high contrast necklines communicate a more moderate version of this code. Credibility to perform to expectation is best protected when the face remains the primary focus. 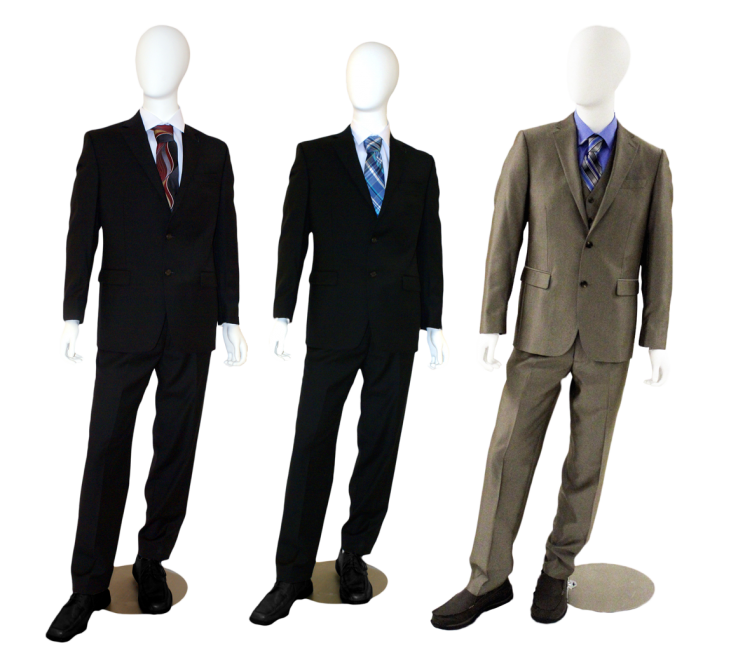 A quality fit and a full-cut fit suit avoids calling attention to the body. Shoes that blend with the suit color help keep the face as focus. Within effective focus on the face, insert touches of personal taste through tie variations. For a creative workplace, consider adding a vested suit with a subtle but interesting color, texture, or pattern along with a colored shirt and contrasting tie. Different neckline details can add personal style yet keep focus on the face. 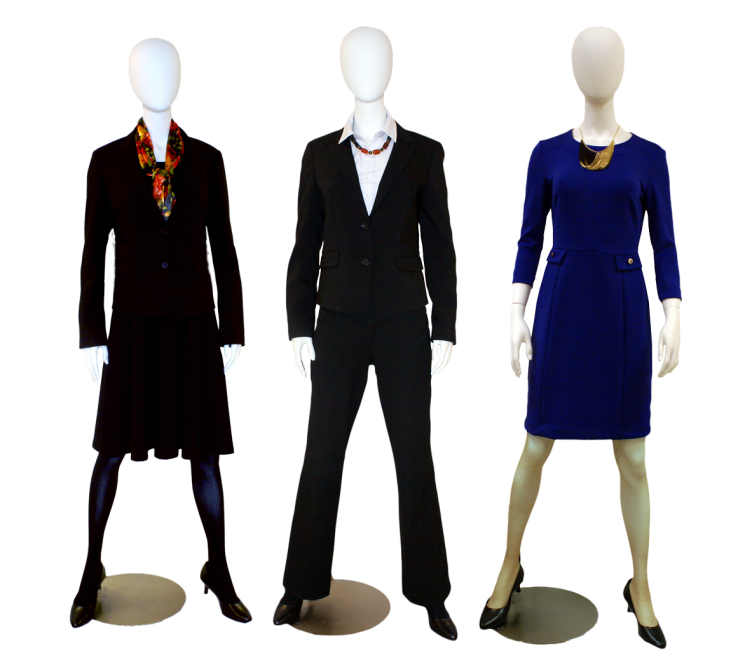 For a creative workplace, consider a style variation like a uniquely colored yet professional suit-dress. Scarves and necklaces add expected polish and should help focus on the face. Avoid scarves or jewelry that are overly distracting and diminish credibility..
Transitioning from daytime to evening wear is suitable for men with the addition of a matching black tie. 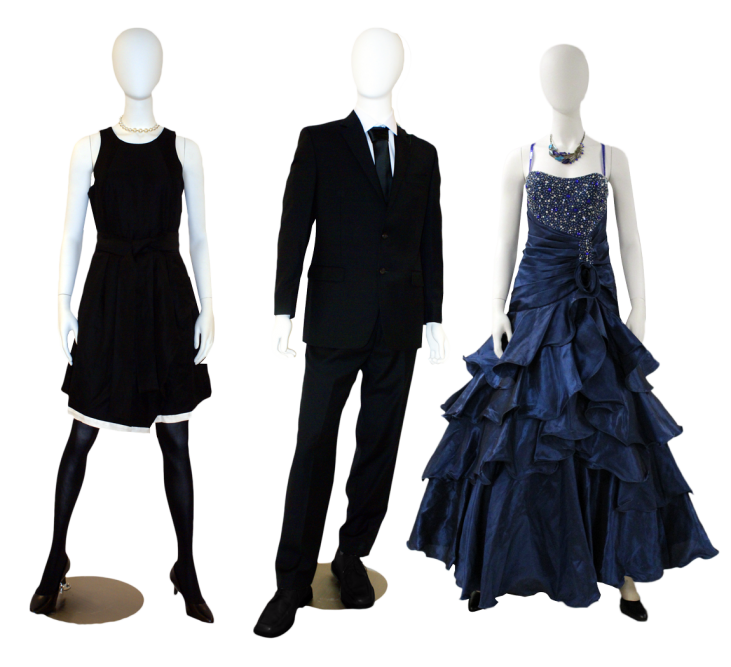 If body exposure is minimal as in this, “Little Black Dress” on the left, the style can also be versatile for evening or professional formal. However, when occasion is an elaborate evening event, his dress code becomes a tuxedo with bow-tie while hers requires a very fancy full-length dress. Her elevated body exposure in neckline and shoulders are appropriate for an evening-wear social context. However, low necklines and exotic styles put emphasis on the body and garments and are an unwelcome workplace distractions.